Summertime sadness is quickly approaching. We will soon have to say goodbye to those tan lines. But before you pack up your swimsuits and replace them with sweaters, there is still time to enjoy some amazing things in the city. Being that this is my first Summer in New York City, I wanted to take advantage of everything that the city has to offer. The good thing is that there is a ton to do. But it often makes it hard to choose, so I compiled a list of my most favorite. 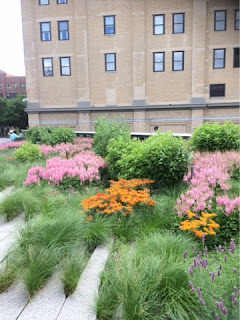 The High Line is an elevated public park that is actually built on an old freight rail line located in the Meat Packing district. It's kinda of like an adult playground with lots seating and luscious landscape. There is even a splash pad to cool off your feet that you can walk through along a section of the park. Great for reading a book or just relaxing and bathing in the sun. 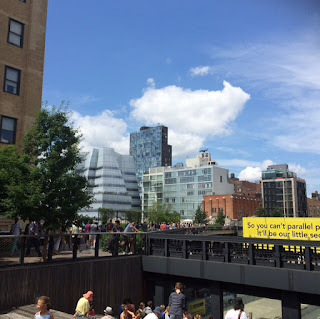 Often you can find events, public art and food and drink vendors along the High Line. Also, a plus is that Chelsea Market is near by. Chelsea Market is an indoor food hall including a mix of different restaurants, pop up shops and local artists. Perfect way to spend a Summer afternoon and cool off indoors. Summer would not be complete without a trip to the beach. 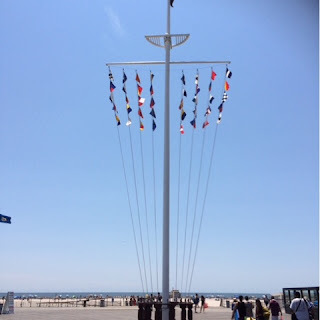 Jones Beach is located on the south shore of Long Island. The beach includes a boardwalk where you can grab a bite or shop at one of the local vendors. Click here for more details on fees and access to the beach as well as beach rentals. 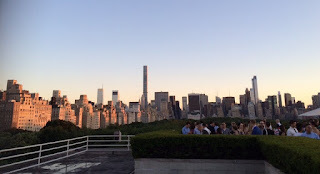 On Friday and Saturday's from 5pm-8pm The Met Museum rooftop turns into a social hour with signature cocktails, martinis and light snacks. Access is granted with a purchased Museum ticket. Luckily, The Met is pay as you wish. So you can get in for the less expensive ticket price which is $12.95. 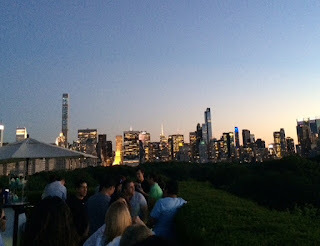 There is no other rooftop bar that will give you access to such breathtaking panoramic views of the NYC skyline. Great for meeting up with friends and enjoying a few drinks to start off the weekend. You have never seen Central Park or the city quite like this! 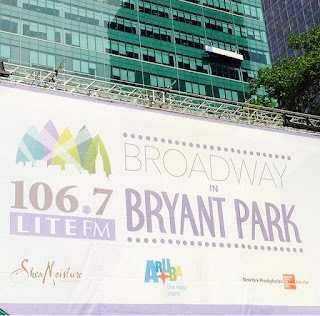 Every Thursday from 12:30pm-1:30pm July-August you have a chance to see a sneak peak of on and off Broadway shows courtesy of Broadway In Bryant Park. There is often FREE Giveaways and if you arrive early you can catch the warm up performances. Seats fill up quickly and are first come first serve. These are not your ordinary Ice Cream shops. A favorite of mine is BIG GAY ICE CREAM. this place is all about unicorns and funky ice cream combinations. And Mister Softee is a local favorite, you can find this gem of an ice cream truck driving around all over Manhattan. Nothing is better than delicious cold ice cream when your trying to beat the Summer heat. For more local ice cream spots, click here. 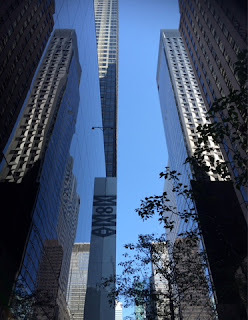 Thanks to UNIQLO every FRIDAY, MoMA is FREE from 4pm-8pm. Free admission includes special exhibits also. Get there early because the line tends to wrap around the building. And be prepared to be in a crowd of art lovers. Great way to spend an evening with a friend or a date while you gaze away at art. What are your favorite things to do in the city during the Summer?